On Thursday, September 1, WVPT, the Shenandoah Valley and Central Virginia’s public television station, will air the premiere of Back Home Again: A Tribute to John Denver. The tribute concert will air at 8:00 p.m.
Back Home Again, a concert that benefited the Wildlife Center of Virginia, was recorded live at the Wayne Theater in Waynesboro on June 5. The concert features the music of John Denver performed by Tom Becker. In addition to Becker’s band, the concert featured the accompaniment of the Waynesboro Symphony Orchestra. The June 5 concert was part of ClarkFest, a celebration of the 65th birthday of Ed Clark, President and Co-Founder of The Wildlife Center of Virginia. Since its founding in 1982, the Wildlife Center has treated more than 70,000 patients – sick, injured, and orphaned wild animals from every corner of Virginia. Clark introduced Becker and the Waynesboro Symphony at the June 5 concert. According to Clark, “John Denver’s music has been very inspirational to me throughout my adult life, helping me to make the decision to dedicate my career to conservation.” Clark was more than just another John Denver fan, however; he was well acquainted with the superstar, having first met the singer in 1980 at a White House reception hosted by President Jimmy Carter. Clark and Denver had ongoing contact for many years, sharing an interest in such conservation issues as the protection of public lands in Alaska and the world’s oceans, and the work of the National Wildlife Federation, in which Clark played a leadership role for more than 20 years. The June 5 concert included songs from throughout Denver’s four-decade career and celebrated his life as a songwriter, performer, actor, environmentalist, and humanitarian. Fifteen of his albums went platinum; he received American Music Awards, an Emmy, a People’s Choice Award, and two Grammys. Every year, about 2,300 animals – ranging from Bald Eagles to Black Bear cubs to hummingbirds and chipmunks – are brought to the Wildlife Center for care. The goal of the Center is “to treat to release” – to restore patients to health and return as many as possible to the wild. Additional information about the Wildlife Center is available at www.wildlifecenter.org. 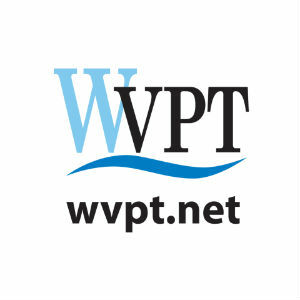 Additional information about WVPT is available at www.wvpt.net.